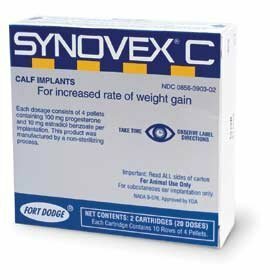 Synovex is an implantable hormone cartridge for steer, calves, and heifers. Synovex veterinary steroids contain progesterone and estradiol for maximum growth. Hormonal implants give beef producers a higher return on investment than other growth-enhancing practices.